Pipe and cable locators have important safety and cost saving implications in the civil engineering and utility industries. The use of a Cable Avoidance Tool [CAT] as part of the pre-excavation survey is an established safety practice. 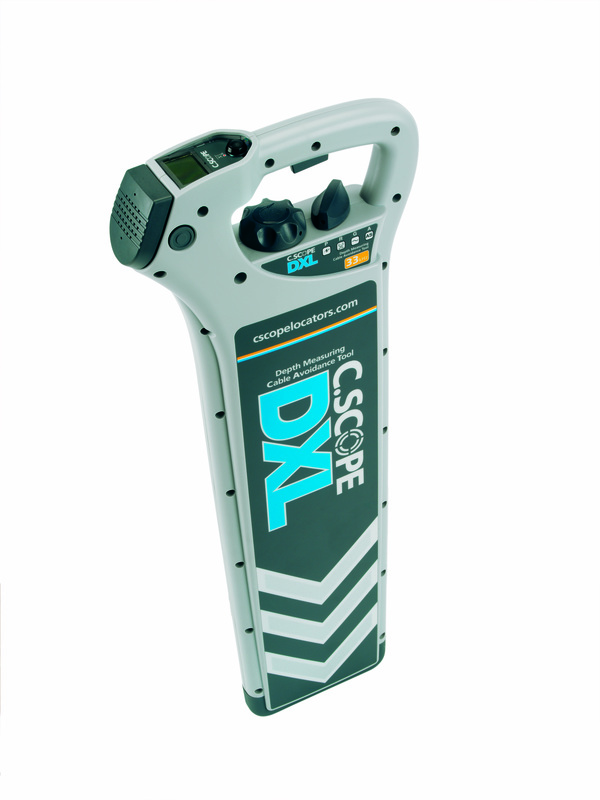 CAT locators are used to trace the route of virtually any type of underground pipe or cable. SELF CALIBRATING - no need for regular calibration costs. Controls : On/Off control. Press for 'on', release for 'off'. Battery check tone at switch on. P - Power mode for detecting live imbalanced cables. R - Radio mode for detecting re-radiated radio signals. G - Generator mode for detecting conductors carrying the signal generated by the Signal Generator or from the Sonde Transmitter (sold seperately). Depth measurement with button control. Large, easy to read liquid crystal display. Shock resistant, mounted behind polycarbonate lens for maximum protection. The display indicates : signal strength. Battery condition. confirmation of selected mode. depth in G mode.